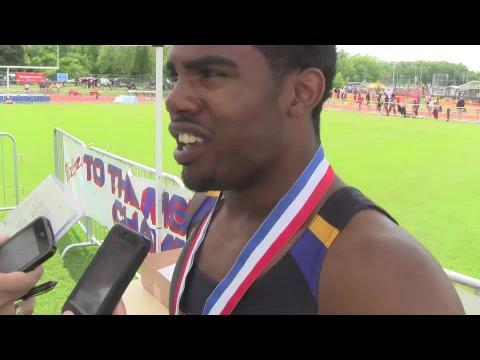 Ezekiel Elliott's future may be in football, but on Saturday he lit up the track at Dwight T. Reed Stadium. 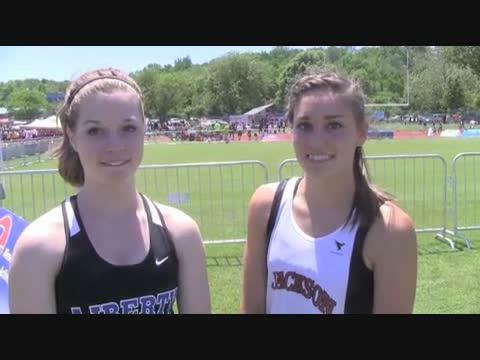 Two of Missouri’s fastest sprinters proved it when it counted last weekend at the Class 3-4 Missouri Track and Field Championships. Now Raymond Wingo and Anglerne Annelus will take on some of the best both Missouri and Illinois have to offer at Thursday’s Festival of Miles St. Louis Injury and Rehab All-Star 100-meter dash at St. Louis University High. Grandview has grown accustomed to winning state titles. The feeling was entirely new for Ste. Genevieve. Grandview won its third consecutive boys Class 3 state track title Saturday at Dwight T. Reed Stadium with 58 points despite battling key injuries. The Spencer Haik kick proved valuable yet again, but it was not the way he envisioned using it. In the span of mere minutes, the disposition atop the podium at the Class 3-4 Track & Field Championships changed dramatically. Hazelwood Central’s streak is intact. The second day of the Missouri Track and Field Championships began with a superb relay struggle that featured five lead changes and four teams scrambling for position in the final meters of the race. Glendale senior Chris Mooneyham got a good glimpse Friday of what it would be like to get a gold medal draped around his neck. 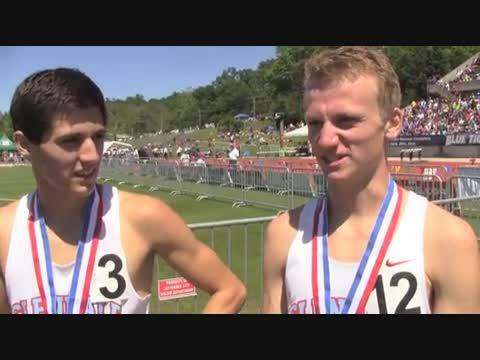 He finished fifth in the 1,600-meter run and was nearby on the podium when teammate Spencer Haik received his first-place medal. Mooneyham got to experience the feeling first hand Saturday when he claimed the Class 4 3,200-meter run in 9:06.86 at Dwight T. Reed Stadium. The girls’ 400-meter dashes belong to a pair of diminutive stars. Howell’s Whitney Adams has been a mainstay in the event in Class 4, and Lutheran South’s Maya Cody is picking up the Class 3 reins. The favorites in the girls 3,200-meter relay did not disappoint at the Class 3-4 Track & Field Championships Friday at Dwight T. Reed Stadium. Previews for all 18 events to be contested are now live. Ste. 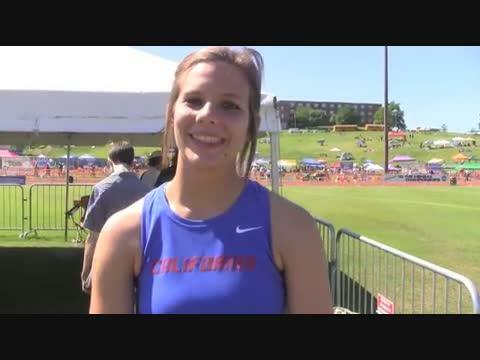 Genevieve freshman Taylor Werner was one gigantic grin following her 3,200-meter victory Friday. Kain Ellis had been dreaming about this moment for a long time. 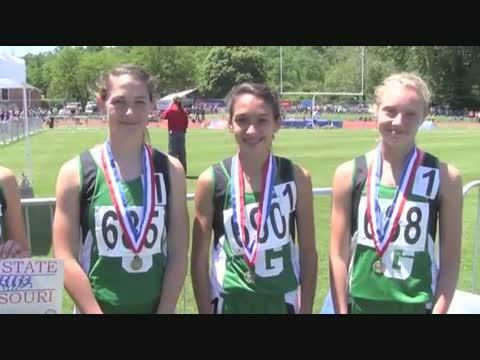 Two girls cornered the market on the girls distance medal championships at the state meet this year. Ste. 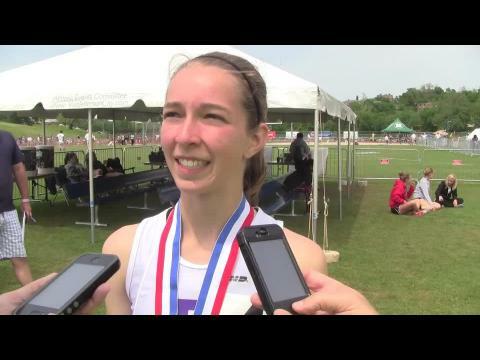 Genevieve’s Taylor Werner and Eureka’s Hannah Long won gold in every race they ran. The Class 4 girls opted to start the 3,200-meter run relaxed and even-paced. As the second half of the race started, Cor Jesu’s Jill Whitman began to see her opening to make an early move and push the pace. There was some good-natured joking in the media tent to be alert for a potential inbound discus that could send the journalists scrambling. Timberland senior Josh McDonald didn’t quite reach the tent, but he did launch a winning throw of 188 feet, 8 inches to stand atop the Class 4 podium for the second consecutive year. McCluer North senior Aaron Mallett felt he got a sliver of vindication when he crushed the 300-meter hurdles with a 36.98, falling just .76ths of a second off the state record. Holt senior Nataliyah Friar was beside herself with giddy excitement after finally stepping on the top step of the Class 4 medal stand at Saturday’s state meet. As part of our on-going work on the state previews we have put together an unofficial performance list based on sectional times. Fort Osage junior Asia Cole was only able to defend one of her throws’ titles at the Class 4 Track and Field Championships. Live updates from Jefferson City. 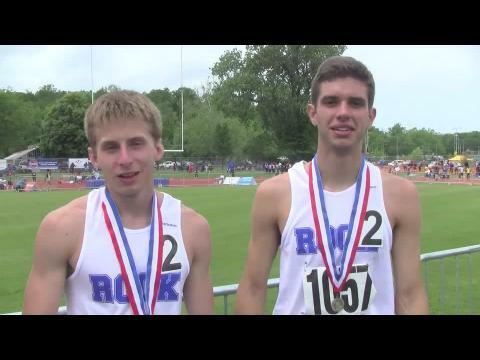 Spencer Haik and Chris Mooneyham after finishing first and fifth in the 1600m. 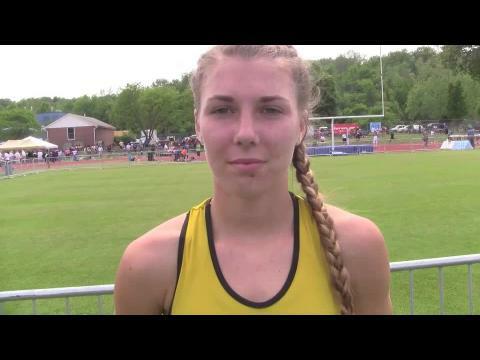 Taylor Werner after running a Class 3 Record in the 3200m. Sierra Maddox and Heather Glenn after finishing first and second in the pole vault. St. Joseph Central’s Drew Bodicky thought he had finally secured a medal at the Class 4 state track meet. He entered the 110-meter hurdles with one of the top seed times and was all but assured of at least making the finals and earning his first all-state status. 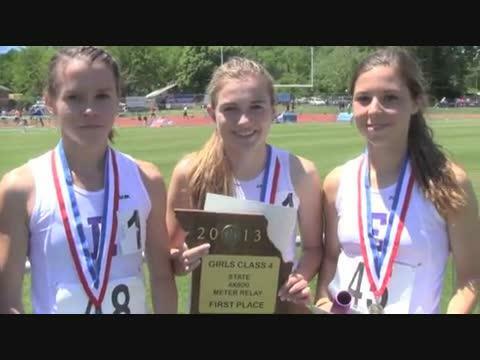 Interview with the Eurkea Girls 4x800 Relay after running a 9:12.01 to win. 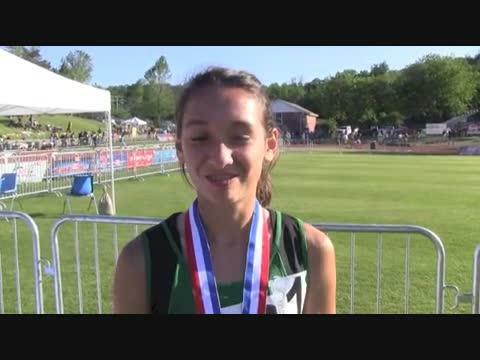 Post race interview in the C3 Girls 800 Meter runner up Saga Barzowski.